A sweet addition to Columbia's classic Silver Ridge family, this multi-tasking skort repels harmful UV rays and pulls moisture away from your body. Whether you're strolling about town or sailing the open seas, you'll be comfortable, cute and fully covered. 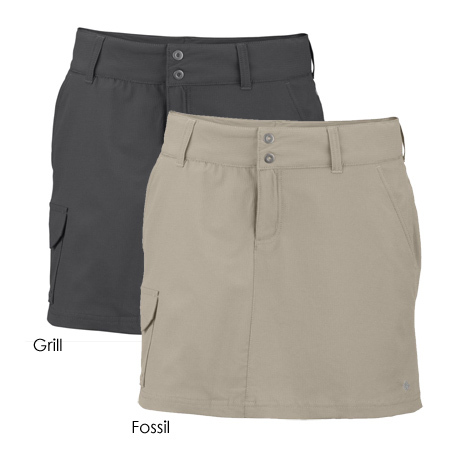 The best part of this ingenious skort is the piece that no one else will ever get to see - comfy internal shorts feature Omni-Freeze ICE® advanced cooling technology, which lowers the temperature of the fabric when it comes into contact with moisture. This means that your sweat actually keeps you cooler - from the inside out. Add in UPF 50 sun protection, quick-wicking properties and 2-way comfort stretch throughout and you've got the perfect companion for warm adventures in the wilderness.